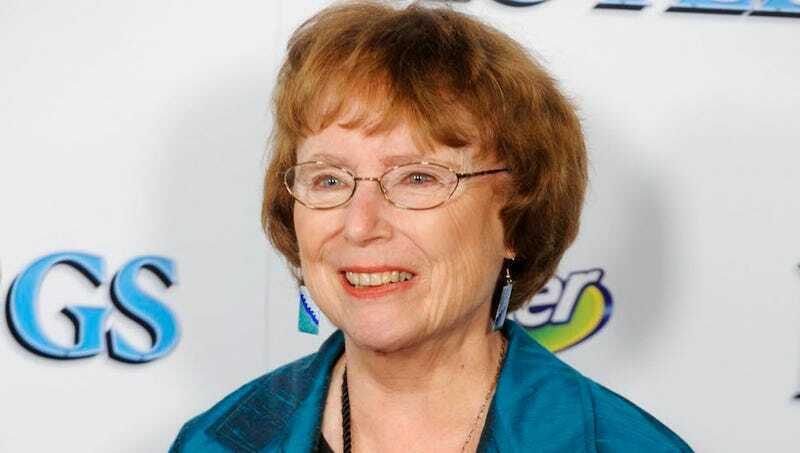 Lois Duncan, the beloved young adult author* who wrote as many as 48 books and spent the last 30 years searching for the true killer of her youngest daughter, died this week at home in Florida. She was 82. It is not an exaggeration to say that Duncan’s contributions to teen culture spans generations. All of her works featured girl protagonists, for one. One of her most popular books, I Know What You Did Last Summer—a mystery about a group of teens who accidentally run over young boy and cover it up, only to be discovered by an anonymous stalker seeking vengeance—was written in 1973, a mystery tale so juicy and perennial it was turned into a movie in 1997, and as of 2014 was scheduled for a remake. That book illuminated the way Duncan could use timeless literary themes—mystery, sin, longing, revenge and, of course, love—and apply them to teens without condescension. She did so in multiple suspense books, including Killing Mr. Griffin and Don’t Look Behind You, which hold up when re-read as an adult. But it was the supernatural elements Duncan often incorporated that really elevated her work for scheming, newly-cynical and dark young minds such as my own. With Stranger With My Face, she flipped the concept of astral projection into a metaphor for the anxiety young adults have about figuring out who they are; with Down a Dark Hall—a perfect Victorian gothic update—she mined the fear we all have about being locked away in a boarding school and, you know, becoming possessed by ghosts. Locked in Time was another banger set in a boarding school but with demonic time travel, and The Third Eye was about a young psychic teen who solves crime (and also falls for a hunky young cop, in the ultimate “I just figured out that babes-in-uniform is a thing” teen coup). But of course Duncan’s interest in both psychic phenomena and true crime had a real-life basis, and real-life implications. As has been written about widely, by others and by Duncan herself, in 1988 her youngest daughter Kaitlyn Arquette was shot and killed on her way back home from a friend’s place. She was just 18. Duncan details in her 1992 non-fiction book Who Killed My Daughter? her efforts to locate her killer, including using psychics. Ultimately, Duncan believed that her daughter’s death was part of a gang retaliation related to her boyfriend, and that the police, who ruled her murder as a random killing, had covered up what they knew; she died still searching for the answers, and working with an Albuquerque-based private investigator named Pat Caristo, who first alerted media to her death. In her lifetime, Duncan won several awards for her work, including the American Library Association’s Margaret A. Edwards Award, which honored her for herlifetime achievement. She is survived by four children, two of whom—Kerry Arquette and Brett Arquette—followed in her footsteps, writing books for children and young adults. She just had that effect on people; her books inspired me to start writing, for one, and was formative in so many of our young lives here at Jezebel and so far beyond. She will be missed.